Simple, clean design , yet striking finish. 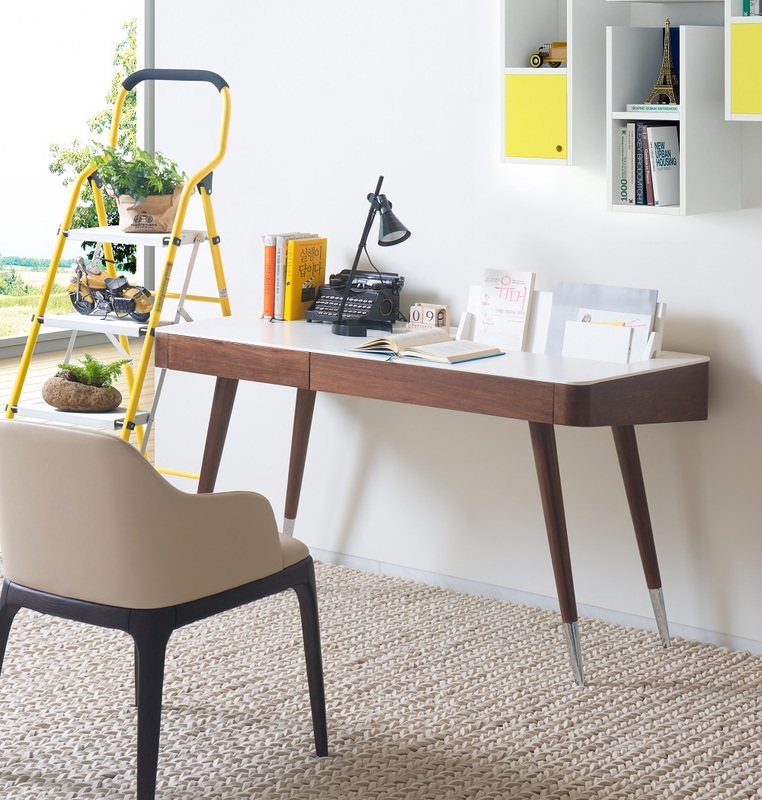 The calla desk features a storage drawer for convenience, and a fold up flap to assist in organizing of papers, envelopes, books and other important documents. 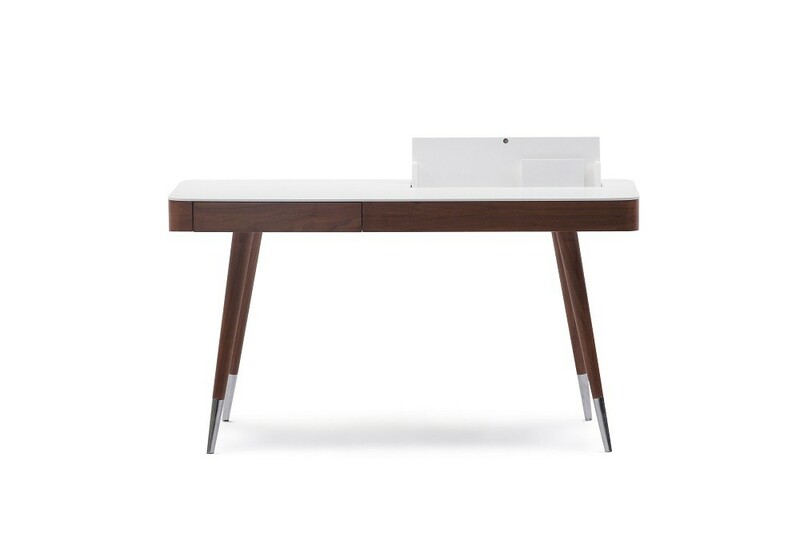 This desk comes in a brown oak veneer, with a contrast white matte top.